Spotted Peccary Music is proud to present the brilliantly re-mastered 20th anniversary special edition of Deborah Martin’s Under The Moon. Rendered from the original master tapes and meticulously restored, these classic recordings provide an in-depth exploded view of the audio, offering the listener a much deeper, musical sound journey experience. Under The Moon conjures up all kinds of nocturnal and archetypal imagery, as do the lush compositions and arrangements on this landmark release. Used extensively at the 1996 Olympic Games, this album marked a historic achievement for the artist and label. Electronic and acoustic instruments are used to paint the majesty and mystery of the night sky, with bright acoustic and textural electric guitars embellishing Martin’s classically influenced keyboard orchestrations. There is much variety in the material, from the dreamy Twilight and Night’s Shadow to the slowly building crescendo of Aurora — anchored by the exquisite electric string bass of Tony Levin, well known to rock fans for his work with Peter Gabriel and King Crimson. A Native American muse guides the atmospheric Gray Sky, which features an evocative poem written by Martin and recited by Edgar Perry of the White Mountain Apache Eagle Clan in his native tongue; and the potent Maker Of Dreams, with its soaring synth strings riding on a carpet of rolling Taos Drums. The album drifts away to the impressionistic strains of Before Dawn, the perfect finishing touch to this powerfully deep and elegant mix of classical, space music and organic elements. Enchanting and delicate, Deborah Martin’s Under The Moon is a rich and simply beautiful album of dream songs; crystal clear visions through ethereal, mind-altering, trance-inducing atmospheres that lead the listener on a compelling and magical voyage through the realm between twilight and dawn. Marking the anniversary, a special booklet accompanies the release. Melodic ambient and electronic/acoustic fusion. This 20th anniversary special edition of Deborah Martin’s Under The Moon sparkles with a delightfully fresh verve and clarity. A rich acoustic palette embellishes the gently harmonious, reflective synth and keyboard foundation. Deborah Martin's own acoustic guitars, Taos drums and percussion are met by Native American flutes, electric double bass, ambient guitars and other guest performances. Lead lines on piano, deep flute or synth entwine with inventive fretless bass work, float upon warm, smooth pads or hang behind the hypnotic thud of hand drums. Spoken words from Edgar Perry of the White Mountain Apache Eagle Clan join with those of the artist herself to vocalise an emotive poem/story against a heady nocturne of drifting outdoor music in Gray Sky. This special edition of Under The Moon comes in a night-sky-blue card wallet with an eight page booklet enclosed in one end. Colourful, painted artwork spreads in a panorama across front and back panels: clouds forms against the moon resolve into galloping horses and bright stars dance beyond. A closer detail fills the inner section where brief credits and a monochrome portrait photograph reside. The booklet also explores sections of the main painting as backdrops to reflections on the 20th anniversary remaster, explanations on the music, poetic transcriptions, thanks, dedications and a more detailed credit list. 20 years on from its original release, Spotted Peccary present Deborah Martin’s breakthrough album Under The Moon having been restored from the original master tapes. Ten relatively tight, brief recordings (ranging from just under three minutes to around five and a half minutes) make up this highly emotive album that might well sound familiar from its wide use at the 1996 Olympic Games. Guest appearances include Tony Levin, whose bass sound is instantly recognisable and Edgar Perry whose dulcet Apache voice adds to the sense of culture and history embedded firmly into many of the tracks. Well it happens to me, from time to time, to get out of my comfort zone and listen something else than pure EM. Like hard-rock (remember Zep or Purple?) or Prog! But New Age? Nanh...It's really not my cup of tea! Except that the productions of the American label Spotted Peccary are so well done, the sound is so much detailed that I had to try an ear. Especially that the criticisms applauded this “Under The Moon”, written and recorded by Deborah Martin in 1995. To celebrate a 20th anniversary the American label gives to it a new breath, a new skin, with a completely remastered edition. Did I like? Yes! I found that there was a medium ground between the so called New Age approaches, the spectral melodies and the ambient structures which are downright attractive, if not intrusive. 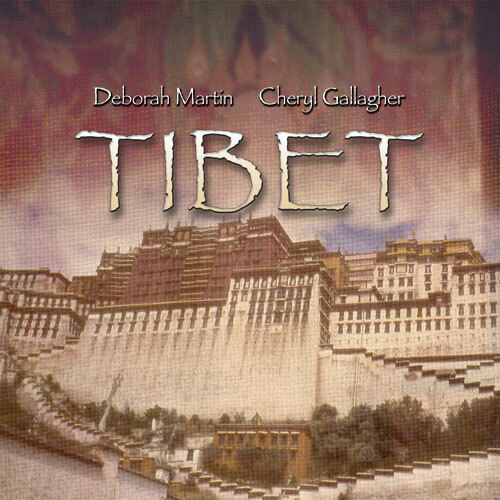 In fact I discovered a beautiful album, a surprisingly musical album where the acoustic of the guitars and the flutes, as well as their charms, blend admirably well into the meditative atmospheres sculpted in the sobriety of the synths and of the piano of Deborah Martin. "Twilight" leads us slowly towards the dark zones of “Under The Moon” with a wall of hollow winds which grows like waves of threatening murmurs through the songs of the flutes. We are in the field of dark ambient where the synths weave a mosaic of orchestrations as so dark as poignant which float as these red clouds which color the night of an approach as romantic as sibylline. These intense arrangements will make duel with the fragility of the meditative flutes, the scattered harmonies of the quiet guitars and the Amerindian ambiences which overfly the charms, because there are, of “Under The Moon”. It's with "Aurora" that we enter in the kind of New Age, ambient and tribal. The track pulls these fluty harmonies in the caresses of Tony Levin's very enveloping, enticing bass. The guitar here is more present and sculpts a soft ambient ballad where a flute is covering of its dark charms. I'm guessing you now! Remove these wings of gulls which fill your eyebrows! And let yourself be absorb by all the tenderness of this Deborah Martin's unique work. The music and the arrangements are of a delicacy that will make your emotions going upside down. The piano of "Nymphea (Water Lilies)" is so soft that it swallows us of its melancholy. Everything is there! The clouds of mists and the subdued choirs which make symbiosis into ethereal elements. Beautiful? No! Seductive and meditative, just as these tears of guitar which pour in the poignant orchestrations of "Rainbow Man". This is like listening White Bird from It's a Beautiful Day played with an even more seraphic musical approach. The more we move forward and the more we are seduced. We forget the music kind that we listen to so much it's beautiful. "Night's Shadow" is as much enigmatic as "Twilight" whereas the ballad which decorates the title-track is going to nail you to your emotions. Intense and penetrating! "Gray Sky" leads us in the secrets of the incantations of the Peoples of the First Nations. The voice of Edgar Perry is tinted with mysticism. Just like the ambiences which are flavored by shamanic percussions, decorated with winds which hoot like a pack of wolf cubs and with murmurs of spectres. The synth lines are floating like abstract witnesses of this incantation, leaving the charms of the mesmerizing flute flooded our thoughts along with the soft penetrating voice of Deborah Martin. This is by far the track which has the most immediate impact in “Under The Moon”. "Maker of Dreams" stays in the same crenel of Amerindian tribal music. The rhythm is steadier, although rather sedative, with tom-toms which sculpt a dance of which the shape follows the lasciviousness of flutes and orchestrations. There is a touch of Middle East here. "Midnight" has one's eye a little bit on the moods of "Twilight", but with a clearly less dark vibe and a more ethereal approach. The orchestrations are still all the wealth of this very beautiful moment of ambiences. On this track and all over the album. That makes a very filmic music where the hero watches the desert shying away under his eyes. "Before Dawn" ends this fascinating sonic odyssey in the heart of the Amerindian atmospheres with a delicate synth which sculpts a fusion of astral and sinister waves. A blend which undulates as caresses over the very solitary nomad of David Stile's classical guitar. It's a very meditative ambient phase which balances marvelously the approaches a little bit New Age of an album which bewitches, as soon as we free our ears of the easy prejudice against the New Age term. Needs to pay attention with the New Age term! It is so much used to all sauces, to all these styles that we just can't put an etiquette on and which escape the radars of the labeling of the kinds. Soothing, poetic and dark “Under The Moon” is as much a purely New Age album as Led Zeppelin III is one of pure folk. Certainly, there are melodies. But the ambiences and the massive ethereal orchestrations inject a dreamlike fluid which sticks so much on the feelings, that we can follow the trajectory of the music through our imagination. I was quite surprised that I ended up to enjoyed it. There are pretty good moments here. And we have to admit that Deborah Martin's style is rather unique that it can be disturbing. But in a right way. Under The Moon has a definite feminine vibration of subtle power and beauty. Its overall mood is relaxing, light and spacious -- with choice moments of harmonic tension, movement and dynamics. In other words, this is music with well-conceived ideas and not just pleasant, ambient sound. The sonic quality of this CD is warm and clear. Gentle touches of acoustic guitar, fretless bass and native american flute bring an earthy note to harmonize with the cool crystal of the synth sounds. 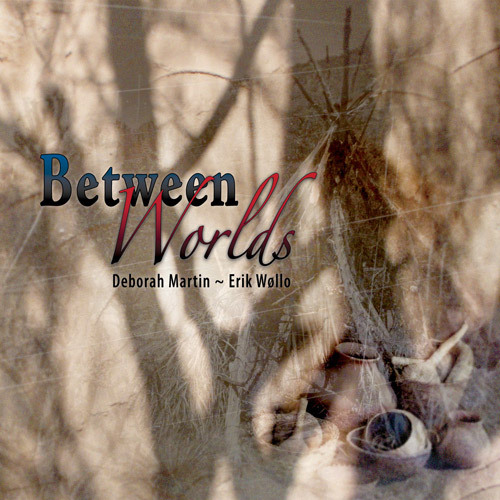 Deborah Martin's smooth, inviting recording Under The Moon succeeds nicely as a relaxing, ethereal orchestral journey. Deborah Martin performs most the beautiful music, though she does get some help form people like Tony Levin, Howard Givens, Jon Jenkins, Jeff Moore and David Strile. Over the course of the CD you will enjoy Twilight, see Aurora, experience Night's Shadow, sit Under the Moon, believe in Maker of Dreams and Before the Dawn. This is the first time I've heard something from Deborah Martin and I must confess that she has impressed me. Under the Moon is pure instrumental music with many elements from different styles, including classical music, electronic, ambient and so on. All selections have been composed and performed by Martin, although several other musicians (including Paul Lackey and Jon Jenkins) also appear. The music is innovative and uplifting. The author translates successfully her inspiration into electronic music, and with it, the listener will be carried off on a relaxing journey. The album contains 10 tracks. Just as the name Under The Moon conjures up all kinds of nocturnal and archetypal imagery, so do the lush compositions and arrangements on Deborah Martin's debut release. Both electronic and acoustic instruments are used to paint the majesty and mystery of the night sky, with bright acoustic and textural electric guitars embellishing Deborah Martin's classically influenced keyboard orchestrations. There is much variety in the material, from the dreamy Twilight and Nights Shadow to the slowly building crescendo of Aurora -- anchored by the exquisite electric string bass of Tony Levin, well known to rock fans for his work with Peter Gabriel and King Crimson. A native american theme colors two tracks: the atmospheric Gray Sky, which features an evocative poem first recited in the Apache tongue, then sung by Deborah Martin; and the potent Maker Of Dreams, with its soaring synth strings riding on a carpet of rolling toms. Under The Moon drifts away to the impressionistic strains of Before Dawn, the perfect finishing touch to the album's elegant mix of classical, space music and primal elements. Another in a terrific series of offerings from Spotted Peccary, a truly innovative label deserving of a lot more attention (and they're beginning to get it). Under The Moon is a fascinating collection of sound textures, from Deborah's hauntingly lyrical synthesizers to ambient and acoustic guitar, bass, and on the exquisite Maker of Dreams, Native American drums and flute. Another favorite track is Gray Sky, conjuring images of deeply shadowed canyons and cliff walls, clouds streaming overhead, illuminated by the moon, with a spoken vocal in Apache that is then sung in English. These are dream songs, night music, ethereal, trance-inducing, mind-altering, even more awesome with headphones. Deborah's compositions take us through a night's journey, from the opening Twilight to the closing Before Dawn. In fact, Under The Moon inspires the poet in me, with visions of riders under the night sky, tracked by the moon's unwavering gaze, helped on their way by her soft silver light, welcoming fires spitting embers into the dawn sky, lit from behind with the faintest hint of the sun's fiery rays. Under The Moon is contemporary music set to ancient beats, ancient emotions of the night, of the dreamtime between life and death, a soundtrack that bids us to go deeply into the unseen worlds and bring to dawn's light what we find. True to Spotted Peccary's tradition, the stunning cover is reproduced from an original oil painting, this one by Olivier Nadel, of horses running in the clouds flying Under The Moon. Beautiful, wild, night magic, Under The Moon is sure to set the night on fire. Deborah Martin is an extremely sensitive performer. Under the Moon is a Native American-influenced ambient CD. With assistance from the usual Spotted Peccary crew, Martin creates a very reverent and respectful soundscape to honor the cultures of Native Americans. The subtle acoustics augment her electronics and the electronics take the ethnicity to higher planes and exotic locations. Martin's atmospheres are dense and expansive. Deep listeners will follow her willingly and respectfully with no hesitation. This disc will appeal to fans of Marina Raye, R. Carlos Nakai, Douglas Spotted Eagle, and Perry Silverbird. To honour this twentieth-anniversary edition, Spotted Peccary has meticulously restored and re-mastered Martin's original tapes, resulting in a recording marked by even greater lustre than the original. It's really the odd man out in the trio, as Under The Moon doesn't feature long-form ambient settings so much as enchanting, electroacoustic reveries that have more in common with New Age than ambient, formally speaking. A parallel could be drawn between it and similarly luscious-sounding albums issued years ago on Private Music and Windham Hill, and there are moments, too, that call to mind the kind of music Mark Isham released on Tibet and Castalia in the late ‘80s. Adding to its appeal, the stylistic range of Under The Moon is broad and the instrumentation rich, with Martin (credited with acoustic guitars, synths, percussion, and vocals) joined by many guests, among them bassist Tony Levin on two tracks and Edgar Perry of the White Mountain Apache Eagle Clan on one. Martin's self-described theme for the project concerns that magical time between twilight and dawn “where all precious imaginings exist, suspended in the elegant dream-space we all crave.” In keeping with such a theme, her oft-ethereal music abounds with nocturnal and archetypal associations. It's the kind of album where each piece stands out for one reason or another. Analog synths softly whisper throughout the symphonic overture “Twilight” to begin the project on a strong note. “Aurora” is elevated by Jeff Moore's ambient and acoustic guitars and Levin's distinctive bass playing, as well as Martin's omnipresent synth textures, and his bass along with acoustic and electric guitars give “Rainbow Man” an earthy naturalness. The prettier side of Martin's music-making comes to the fore during “Nymphea (Water Lilies),” while her classical side is showcased in the piano playing of the graceful title track. With Perry reciting a poem in his native Apache tongue (plus Martin singing in English), the meditative “Gray Sky” exudes an ancient quality that's reinforced by the inclusion of haunting flute-like expressions and hand percussion accents. Martin has remained productive in the years since the album's original release, with Tibet, a project undertaken with Cheryl Gallagher, and Anno Domini, a collaboration with J. Arif Verner, two of the better-known projects. But twenty years on from its original release, Under The Moon no doubt stands out as a high point in her career.